No, this isn't the latest twist in the stolen look-see samples scandal. No, this isn't the latest twist in the stolen look-see samples scandal. 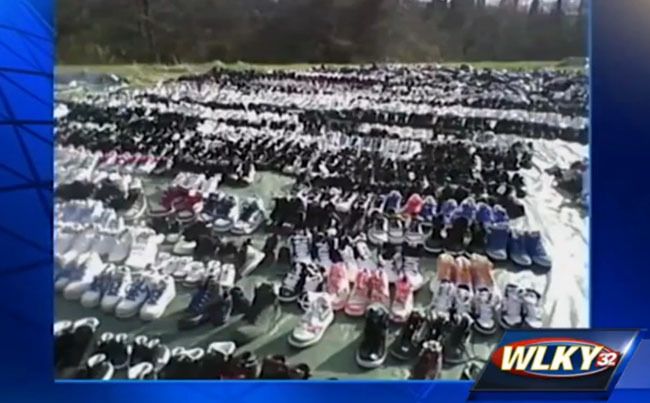 But a reported $3 million dollars worth of sneakers were found this weekend in the yard of a Kentucky home. 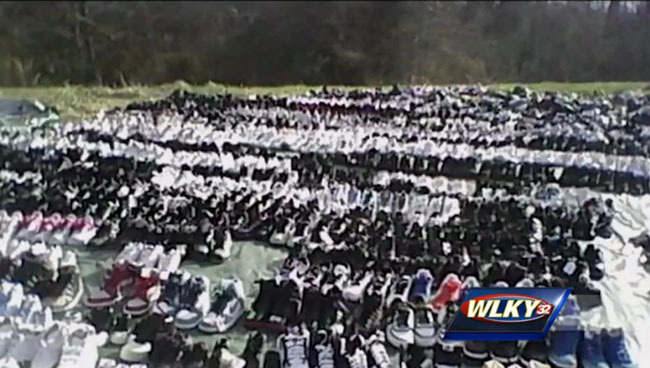 The thousands of shoes, which were being sold for $5 per pair, were allegedly stolen in 2009, and have been missing ever since. As for proof of the shoes being stolen, Nike security verified that the shoes' shipping labels matched the products found. According to the search warrant, the shoes had been intended to be shipped to a distributon center in Texas from another distribution center in Tennessee. The women selling the shoes, who claim to have acquired them from another woman in Casey County, have not been arrested. The police are continuing to investigate.